How Far is PSR Heritage? Structure: Two and Three Bedrooms Apartments with Good Vaastu Compliance Two Bedroom Flat Area : 1022- 1200sft Three Bedroom Flat Area : 1554sft Consisting of 24 units(Ground + 3 floors) Specifications: Anti-skid 8"*8" tiles for toilets floors. Provision for exhaust fan in attached toilet. Parryware/Hindware Sanitaryware. Good quality C.P.Brass fittings. Health faucet for EWC. Wooden windows and shutters with fixed grills. PVC doors for toilets. Three phase connection,Lisha switches,Multi stand copper wire. Television and Telephone poients in drawing and master bedroom. Power poient provision in kitchen for drinking water purifier,refrigerator, Microwave cooking range exhaust fan. 40mm granite kitchen top with granite sink, kitchen shelves and cabinet. POP comice for dinning and living hall. Wardrob for bedrooms(where drawings shown). Ceiling fans,box type tubelights and geyzers. All other door frames with neem woods and OSD flush foors. Wardrob for bedrooms(where drawings shown). Facilities: Intercom facilities. Sufficient power backup-provision for light in common areas of each floor and lift. corridor / common passage 10mm Granite. Seismic II complaint RCC frame structure. Sraircase 20mm Granite with stainless steel Railing. 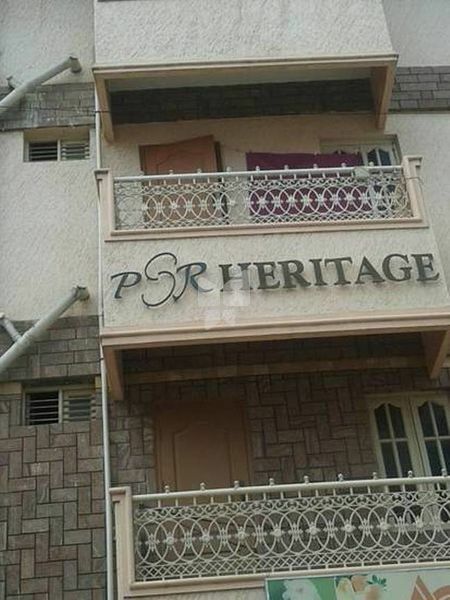 PSR Construction Group was established in year 2001 to create dream homes at affordable prices in Bangalore-North. Right through its growth from a small company in 2001 to a multi-crore facility, PSR Group has teamed with its clients for the biggest challenges while offering cost savings and personal attention. Having completed one hundred fifty thousand sqft of constructed area(150,000sqft), the Group has been a developer of choice in the North of Bangalore. Since its establishment, the group has given the best value and the quality to its clients. PSR construction group is a company with vision, creativity and proven ability. The promoters are well known in the field of construction for their dedication, sincerity, hard work and mainly quality work, they have successfully completed the projects which have become landmarks in the north of Bangalore.